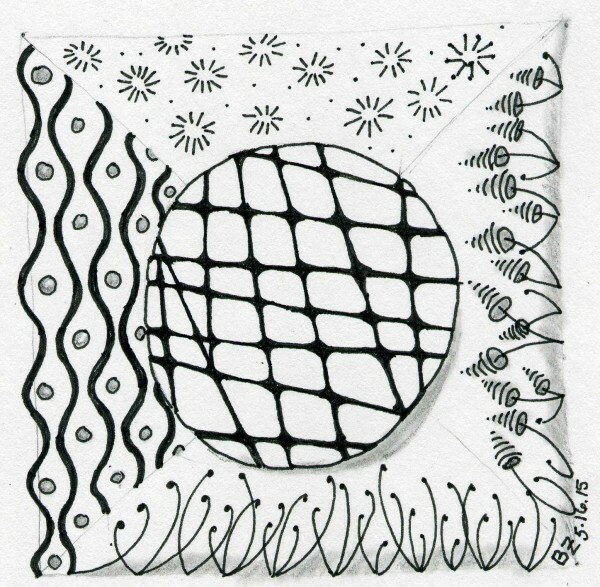 A Zentangle done to learn Zinger (right). Paired it with Slalom (left), Fescu (bottom), CO2 (top), and 'NZeppel (middle). I don't know what a Zentangle is but this is eyecatchingly sweet. I love your tangle posts! I'm using them as a journal activity to calm down before bed. Writing a journal spins my mind up and then I can't sleep.